Prisoner guard: Let's keep those hammers working! Q: Why did Rambo hit Ericson with his M60E machine gun? Q: What is 'Rambo: First Blood Part II' about? 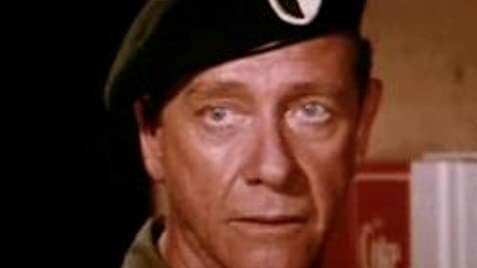 Q: How did Rambo know that Marshall Murdock was lying? Although done in the way of a mindless action film, this movie is steeped more in reality than you might think. It's true that there are hundreds of leftover POW's still alive in Vietnam. Many of them however have been moved over to Laos, Cambodia, North Korea, and the former Soviet Union. In the early eighties, Ronald Reagan tried to establish two rescue missions but stopped them at the last minute because their rescue would bring up a secret war the U.S. fought in Laos in the late sixties and early seventies. Many U.S. MIA's/POW's are from this secret war that no one was supposed to know about. Anyway, rather than try rescuing them, they felt that by "liquidating the merchandise" i.e. killing the POW's, the U.S. government could avoid embarrassment and let the pain of Vietnam die off. In fact, Vietnam did offer a number of live POW's to Reagan his first week of office for $ 4 billion dollars but they rejected this offer and continue to claim there are no more live POW's there, even though they have been tracking them by satellite for decades. 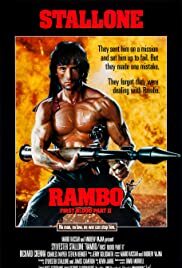 What makes Rambo so disturbing is, this movie made $ 150 million at the box office, and Reagan even referenced it in a speech he gave once, yet no one in the media reports on the topic anymore. They instead look at it like they do the movie, simply a fantasy.